The Ghibli was originally introduced by Maserati in 1966, embodying the desire for hunger and innovation. The ideology of Maserati race-bred performance has been combined with a smooth, luxurious ride to create the 2019 Ghibli. In a world of conformity, the Maserati Ghibli interior offers a graceful, yet assertive design. The comfort level for drivers, as well as passengers, are taken into consideration with the comfortable world-class Ghibli interior. The long wheelbase provides a roomy interior for the sports sedan, creating a luxurious ride no matter the distance. Supreme comfort is achieved through world-renown design and materials available from Ermenegildo Zegna. Supple leather is complimented by natural fiber Zegna Mulberry silk inserts to create the finest interior for the 2019 Maserati Ghibli. The exclusive styling targets discerning drivers and those with an eye for detail. The leather is a standard feature for front and rear seats but can also be extended to the side areas above the dashboard, the instrument panel brow, and the door armrests — creating a two-tone combination. Engineered for the ultimate driving experience, the 2019 Maserati Ghibli is equipped with a twin-turbocharged V6 engine, designed by Maserati Powertrain and built exclusively by Ferrari in Maranello, Italy. 2019 Maserati Ghibli drive modes include Normal, Sport, Off Road, and Increased Control and Efficiency (I.C.E.). The auto-adaptive software recognizes driving styles and road configurations, allowing the mode to adapt accordingly, which gives the driver better handling during numerous driving scenarios. While the Ghibli offers 345 horsepower, the Ghibli S and Ghibli S Q4 both offer a max-power of 424 horsepower, that doesn’t mean the model isn’t fuel efficient. Maserati was able to create a fuel-efficient engine due to the two parallel-mounted, low-inertia turbines that offer a swift response with every touch on the accelerator. 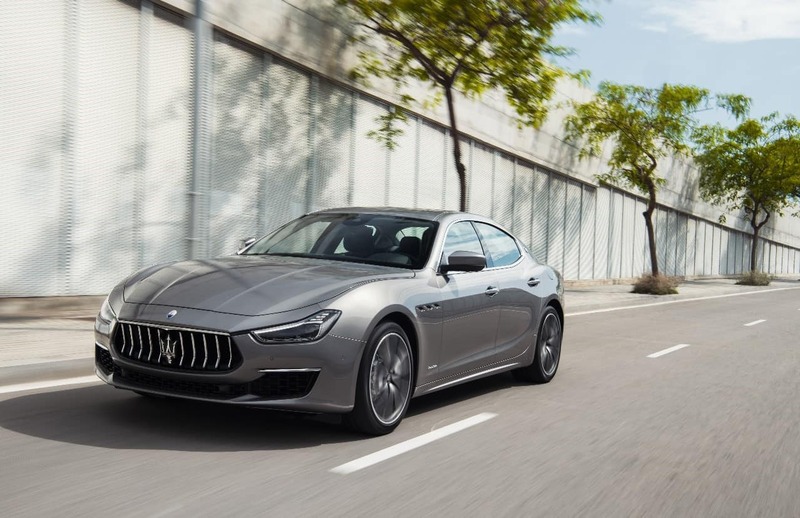 The 2019 Maserati Ghibli puts the focus on intuitive engagement, real-world assistance, and adaptable enjoyment with a cutting-edge infotainment package. The MTC+ is an 8.4-inch multi-touchscreen display with center console rotary control is at the center of the infotainment hub. The unobtrusive design flows effortlessly with the interior design of the Ghibli — as opposed to its competition mounting a screen on top of the dashboard. Drivers who are seeking a sports sedan that offers sophistication and soul can find the all-new Maserati Ghibli in our showroom on Central Ave in Albany, NY.